Israeli Ambassador Barkan with MPs Levitt, Sweet and Rankin as well as former MP Irwin Cotler. Victoria MP Murray Rankin’s recent announcement that he won’t seek re-election is a victory for NDP members who stand for Palestinian rights and oppose regime change efforts in Iran and Venezuela. During Israel’s Summer 2014 destruction of Gaza, which left 2,200 Palestinians dead, he offered remarks supporting Israel (along with Prime Minister Stephen Harper) read at a Victoria Jewish Federation event to raise money for an emergency Israel Relief Fund. In 2016 Rankin went to Israel in a Centre for Israel and Jewish Affairs organized trip and was one of the MPs who blocked the “Palestine Resolution” from being discussed at the NDP convention in February. In December Rankin joined Ambassador Nimrod Barkan and other prominent anti-Palestinian politicians (Michael Levitt, David Sweet, Irwin Cotler) for an event at the Israeli Embassy. Since announcing his retirement the Centre for Israel and Jewish Affairs, as well as CIIG colleagues Michael Levitt and Anthony Housefather, have tweeted their praise for Rankin. Extremist former Canadian Ambassador to Israel Vivian Bercovici‏, a former colleague of Rankin’s at the law firm of Heenan Blaikie, also praised him recently, which he retweeted. Through his participation in CIIG Rankin has repeatedly attacked Tel Aviv’s regional bogeyman, Iran. Rankin participated in a recent press conference with CIIG chair Michael Levitt, vice-chair David Sweet and executive member Anthony Housefather calling for a new round of Canadian sanctions on Iran. Led by former CIIG executive Irwin Cotler, this effort flouts the NDP’s position on Iran. Rankin’s disagreement with NDP policy took place amidst the Trump administration’s withdrawal from the Iran nuclear deal and bid to force others to adhere to its illegal sanctions, by threatening to sanction any country that buys Iranian oil. Rankin is a regular at events led by Cotler, who has been attacking Iran and Venezuela incessantly for at least a decade. At one event Rankin said, “I feel a real honour to be on this stage with such giants of human rights as professor Cotler and Bill Browder.” A story on Rankin’s website about a joint event claims, “Irwin Cotler, who acted as counsel to Mandela.” But, when numerous media outlets repeated this claim after Cotler became a lawyer for right wing Venezuelan politician Leopoldo Lopezin 2015, South Africa’s Ambassador to Venezuela, Pandit Thaninga Shope-Linney, said, “Irwin Cotler was not Nelson Mandela’s lawyer.” For his part, Nelson Mandela mentions a number of lawyers (he was one) in his biography but Cotler’s name seems absent. In 2015 Rankin participated in a press conference led by Cotler calling on the government to adopt the Justice for Victims of Corrupt Foreign Officials Act (Magnitsky Law). The legislation empowered Ottawa to sanction individuals outside the framework of international law. Thirty Russians, 19 Venezuelans and three South Sudanese officials were the initial targets of Canada’s Magnitsky Act. In 2016 Rankin joined Cotler and the Executive Director of UNWATCH, Hillel Neuer, to urge Justin Trudeau’s government to oppose the election of Cuba and other countries to the UN Human Rights Council. A staunch anti-Palestinian, Neuer recently appeared on Rebel Media’s The Ezra Levant Show to complain about Canadian funding to UNRWA, the UN body that supports Palestinian Refugees. In 2016 Rankin joined Cotler and others “to mark the second anniversary of Nelson Mandela’s passing — and International Human Rights Day — by calling for the release of four political prisoners inspired by Mandela’s courage and commitment.” One was Iranian, Ayatollah Hossein Kazamani Boroujerdi, and another was Lopez who Rankin claimed, “was recently sentenced to 14 years imprisonment for his role in pro-democracy protests in a trial devoid of any semblance of due process or legality.” In fact, the Harvard-educated Lopez endorsed the military 2002 coup against President Hugo Chavez and the leader of the hardline Voluntad Popular party was convicted of inciting violence during the 2014 “guarimbas” protests that sought to oust President Nicolas Maduro. According to a series of reports, Lopez was the key Venezuelan organizer of the plan to anoint Juan Guaidó interim president of Venezuela. Rankin’s departure weakens the anti-Palestinian, pro-imperialist camp in the NDP. It also offers an opportunity for a more internationalist minded politician to take his seat. Do New Democrat MPs who belong to the Canada-Israel Interparliamentary Group (CIIG) have carte blanche to flout party policy? Last week CIIG executive member Murray Rankin participated in a press conference calling for a new round of Canadian sanctions on Iran. 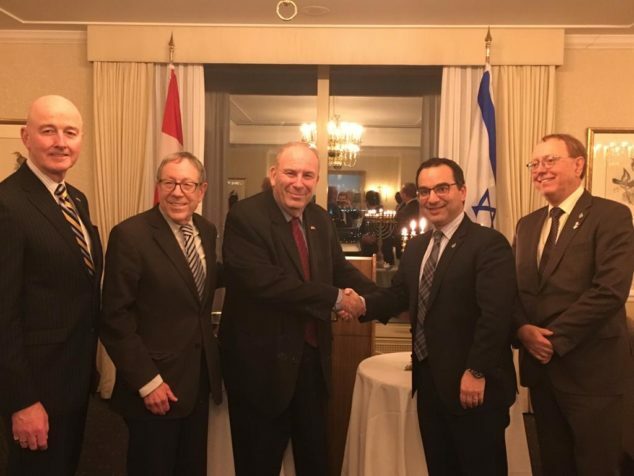 The Victoria MP joined CIIG chair Michael Levitt, vice-chair David Sweet and executive member Anthony Housefather for an event led by former CIIG executive Irwin Cotler. Rankin’s departure from NDP policy takes place amidst the Donald Trump administration’s withdrawal from the Iran nuclear deal and bid to force others to adhere to its illegal sanctions, threatening to sanction any country that buys Iranian oil. The other NDP member on CIIG’s executive also recently departed from the party’s position by condemning the Palestinian solidarity movement. Randall Garrison tweeted, “Nick Cave: cultural boycott of Israel is ‘cowardly and shameful’” and linked to an article quoting the Australian musician who has criticized a growing list of prominent individuals – from Lorde to Natalie Portman – refusing to whitewash Israeli apartheid. Garrison’s comment seems to run counter to the NDP’s vote against a 2016 House of Commons resolution condemning the Boycott, Divestment and Sanctions movement. It certainly angered many rank-and-file party members. After the backlash to Garrison’s attack on the Palestine solidarity movement, the Centre for Israel and Jewish Affairs put out a statement calling on people to defend the NDP MP. Last summer NDP leader Jagmeet Singh refused to heed a call by 200 well-known musicians, academics, trade unionists and party members for the NDP to withdraw from CIIG. Perhaps if Singh had supported the open letter signed by Roger Waters, Linda McQuaig, Maher Arar, Noam Chomsky, etc. it would have sent a message and lessened the likelihood that Garrison and Rankin would flout party policy. It is not too late for Singh to reevaluate his position on the Canada-Israel Interparliamentary Group. Who exactly is the NDP making friends with in Israel? 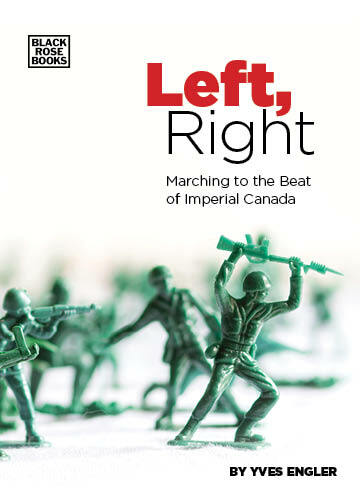 In refusing to heed a call from 200 well-known musicians, academics, trade unionists and NDP members to withdraw from the Canada-Israel Interparliamentary Group (CIIG) the party leadership cites the need for “dialogue”. But, when Jagmeet Singh, Hélène Laverdière, Murray Rankin and others call for “dialogue” they don’t specify who they are talking to. Yoav Ben Tzur told the Knesset in 2017: “it is time to stop being afraid. It is time to apply the law to Judea and Samaria [illegally occupied Palestinian West Bank] as an inseparable part of the state of Israel.” In a stunt that required a major military mobilization and led to a Palestinian being killed, Tzur was part of a mass prayer at Joseph’s Tomb near the occupied Palestinian city of Nablus. Yitzchak Vaknin told the Centre for Israel and Jewish affairs in 2013: “I do not support negotiations on Jerusalem at all. Jerusalem is our capital and of course we are forbidden to speak on Jerusalem because if we speak about Jerusalem then we can discuss any other city in Israel.” In 2011 Vaknin co-sponsored a bill to annex the illegal Jewish settlements of Beitar Illit, Ma’ale Adumim, Giv’at Ze’ev, Gush Etzion and Efrat to the municipality of Jerusalem. Vaknin also co-sponsored two bills to forbid gay pride parades and in 2014 Vaknin called South Africa’s Chief Rabbi Warren Goldstein “erev rav”, a derogatory term translated as “mixed multitude” or “mixed mob” of non-Jews who followed the Biblical Hebrews from Egypt and made their lives miserable. Elazar Stern told Belgian newspaper L’Echo in January that “all embassies should be” in Jerusalem and that Europe should “stop supporting Palestinian terrorism.” Stern co-sponsored a recent bill calling on Israel to withhold some Palestinian customs duties it gathers as the occupying power. Tali Ploskov proposed a bill to deter Israeli human rights groups that give tours detailing the mistreatment of Palestinians by increasing the penalty on unlicensed tour guides. She also co-sponsored a bill designed to fight the “legal intifada” by raising the fees for Palestinians to petition Israel’s top court and another law empowering the Minister of the Interior to revoke the residency status of Palestinians in occupied Jerusalem for “Breach of Allegiance”. In this article I detail some of the views of the two chairs of the Israel-Canada Inter-Parliamentary Friendship Group. The more openly racist and anti-Palestinian of the two, Anat Berko just put forward a bill to jail individuals who display Palestinian flags at demonstrations and expressed support for a former soldier who shot and killed a wounded Palestinian in Hebron in 2016. Which is the best way for the NDP to promote justice and peace? To accept and normalize such views and policies by making friends with these politicians? Or to withdraw from the CIIG to send a message that the State of Israel is currently on a path that is unacceptable to the NDP and its members? Please ask Randall.Garrison@parl.gc.ca,murray. rankin@parl.gc.ca, cheryl.hardcastle@parl.gc.ca, gord.johns@parl.gc.ca and peter.julian@parl.gc.ca to withdraw from the Canada–Israel Interparliamentary Group.